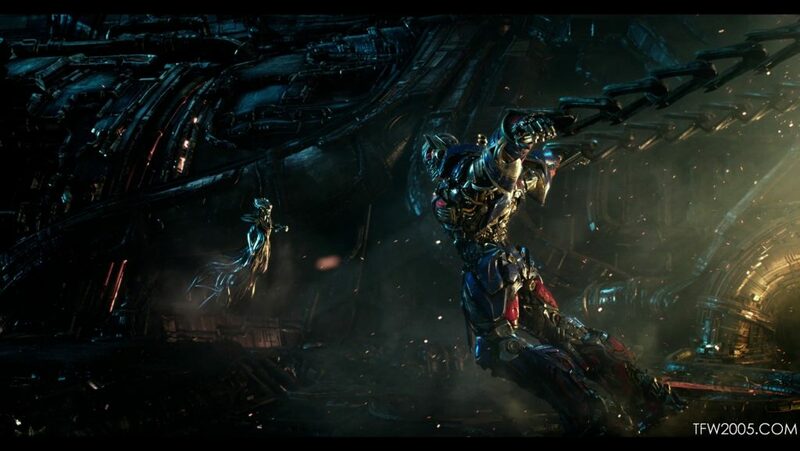 The fifth installment in the Transformers franchise is more terrible than meets the eye. As I think back on the latest Michael Bay robot slug-fest, I can’t help to ponder who exactly these movies are catering to. Judging by the box office numbers, everyone sees them. But why can’t they be good? They have a lot of potential, but then the characters open their mouths – and any semblance of a good film is thrown out the window. Big bombastic action films don’t have to be high art, but it seems like the creatives behind these films aren’t even trying. Take a look at the Marvel Studios films: big budget, action-packed, and plenty of CG. Yet the writing is leaps and bounds above the atrocious scripts they churn out for these Transformers films. Look at Shane Black; he can write an action film with great dialogue, and have loads of fun with it. Or how about Wonder Woman just earlier this month? A decently large budget, lots of special effects, and great writing. Yet for some reason they just can’t seem to make a script for these things that won’t make your eyes tired from the amount of rolling they are constantly doing. I’m not saying that a film about giant alien robots from outer space has to be grounded in reality, and completely serious. We’ve seen what has happened from “No Jokes” DC, and the result isn’t pretty. I don’t even care if there is plenty of humor; just make it good. Yet movie after movie, joke after joke, the writing just keeps getting worse. And I ask myself: who is laughing at these terrible jokes? When I say they are dumb, I don’t mean that they just don’t fit my sense of humor. I mean that they are extremely lazy and unintelligent. And from the lack of reaction I experienced from the crowded theater, I’d say most people would agree. Let’s blow through the plot just to get that over with, because we know that isn’t what anyone is there for. King Arthur (yes, that King Arthur) saves Camelot with the help of Merlin (Stanley Tucci back after playing the bad guy in the last movie). Merlin is a charlatan who has no magic, but instead gets the alien robots who have been sent to Earth to help him. He is buried with a magical staff that he is given to control the robot Transformers who defend Earth, and our story jumps to present day. Cade Yeager (Mark Wahlberg) is on the run from the feds after all Transformers have been dubbed illegal, and is given a magical talisman from one of the ancient Transformers. Meanwhile Sir Edmund Burton (Anthony Hopkins) is trying to gather Yeager and a professor of Arthurian studies (Laura Haddock) to save the world from Quintessa (Gemma Chan), the evil sorceress of Cybertron. After Optimus Prime floats through space back to Cybertron, Quintessa takes control of his mind and dubs him “Nemesis Prime.” It’s a race against the clock to protect Earth from the sorceress and the now evil Prime. If you’re thinking there is a lot going on here… there is. The plot is extremely convoluted, with so much exposition and backstory that is completely unnecessary. Oh, and the movie is 2h 29min long, so enjoy. Mark Wahlberg. You have to give this guy credit, he really gives it his all in this movie. A lesser actor given this material would come off completely ridiculous, but somehow Wahlberg holds his own. I must admit, his character is an improvement from the last film. He elevates the script to the point where you don’t want to gauge out your eyes and tear off your ears when he is on-screen, so kudos to him. Peter Cullen and Frank Welker. Props to Bay and the team for using these two legendary voice actors as Optimus Prime and Megatron. It just doesn’t feel right without them. In the first three films they went with Hugo Weaving as Megatron and, although Agent Smith is great, I think it was a bad decision. Welker has almost 800 acting credits, and is famous for his voice in animation over the past five decades. 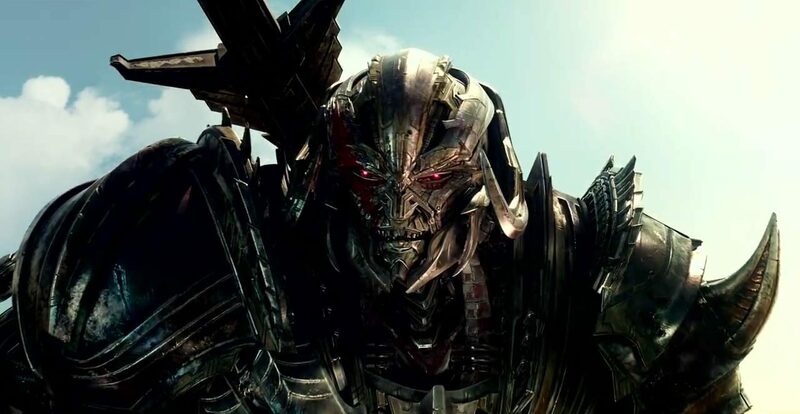 They brought him in for Galvatron in Age of Extinction, and now he is back to Megatron. It just fits. Action Scenes. If there is one thing Michael Bay knows, it is action. Bad Boys, The Rock, Armageddon, The Island, Transformers. The guy just gets it. You can tell many of the war-like action scenes were influenced from his experience on 2016’s 13 Hours, which was a well-made film. The action in the film works, and is exactly what we are here to see. Not the terrible jokes. Stick to the formula: robots punching robots. Bumblebee as a VW Beatle. Apparently Bee fought in WWII and they used his classic form, which was obviously very fitting due to the time period. Nice homage. Visual Effects. The computer animation looks good, no arguing with that. Sir Anthony Hopkins. Not the man himself; he’s a legend. But having to watch him regurgitate the terrible lines he was given was excruciatingly painful. Like Wahlberg, at no point is he simply phoning it in. Hopkins gives it everything he’s got, but it simply isn’t the role for him. He has his moments here and there, again because of the caliber of actor he is. But in the end, it’s sad watching the actor recite garbage. Quintessa. This underwhelming villain came out of nowhere, and that’s exactly where she should have stayed. Optimus Prime floated off into space to find his makers, and this is what we get. She is a weird CGI robot-Medusa looking bad guy, who packs about as much heat as Rita Repulsa in Power Rangers (the new movie or the old one, take your pick). Her abilities include shocking robots to control their mind, shocking robots to fight them, shocking planets to destroy them. And this is the creator of all Cybertonians? She’s lame, get back to Megatron. Bumblebee. I get the voice box thing. It was cute in the first movie. But here we are, five films in and flirting with the idea that he will get his voice fixed – and he still talks in audio clips for the majority of the movie. Just give him a normal voice already and stick with it. At one point his voice is a major plot point, and it doesn’t even make sense how it works out. The New Decepticons. Stop trying to introduce these horrible characters as comic relief. Not since the racist robots from the second film have we seen such awful creations. 33 years of great characters, and we get Mohawk and a bunch of other wacky stereotypes. The whole “comedic” trade they set up with Megatron to to swap human agents for zany Decepticon ne’er-do-wells is cringe-inducing. The Autobots. 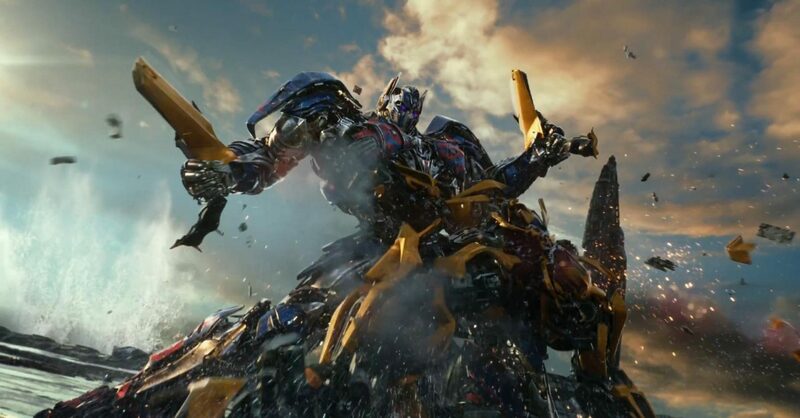 Aside from Bumblebee and John Goodman’s Hound, I really can’t stand most of the Autobots in the film. We get Hot Rod and he is… French? How about Judd Nelson, who voiced him in the movie? Drift is the Asian, Samurai robot voiced by Ken Watanabe. It’s hard to believe that Bay had the restraint to make him into a Mercedes, and not a Toyota. And Wheelie, the stupid little wisecracking robot that we met in Revenge of the Fallen shows up, unfortunately. Then they show us Grimlock, quite possibly the coolest of all next to Optimus Prime, and he simply just never shows up again. Why did they not bring him to fight the world-ending threat? I’ll tell you why – because this movie is stupid. Optimus Prime. He’s maybe in the movie for fifteen minutes, and he is a bad guy for half of that. It’s a terrible story-line for the character, that almost gets him sent to the scrapyard – even though it wasn’t truly his fault. Peter Cullen is great as always in the role, but unfortunately the character isn’t given anything worthwhile to do. I had really hoped that Bay and co. would have learned from their mistakes on the last film. If they could just pair the impressive, and often fun, action scenes with a less complicated story and far less terrible jokes, they could make this franchise decent. It’s okay to make a big, fun action blockbuster that allows you to check your brain at the door. But when the movie feels like it’s actually destroying brain cells like Unicron destroys planets: Cybertron, we have a problem. Transformers: The Last Knight is a D.